There was a charming rhythm in the way they walked. But in that pristine surroundings the sight of their day’s collection was a bit disturbing and disheartening. However, I should not forget that for me it was just my pleasure trip while for them it is their struggle for existence where they cannot afford sentiments towards Nature. 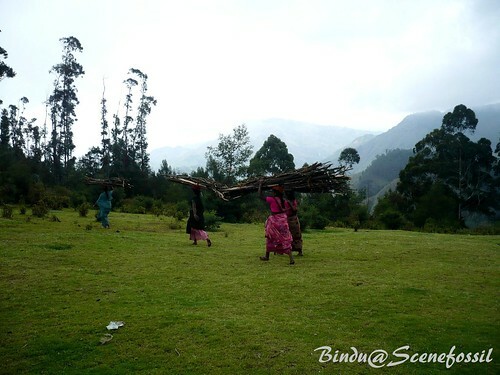 A few shots from one of remote hills of Kodaikanal, Tamil Nadu. 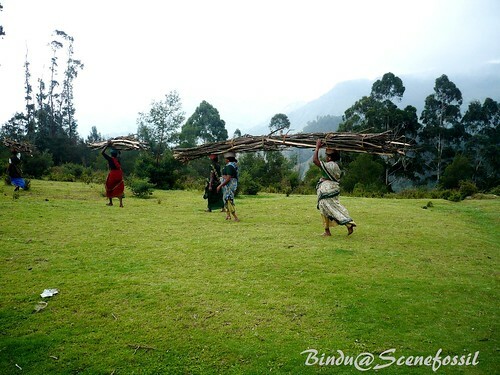 This entry was posted in Life, Nature, Trees, Uncategorized, Women and tagged Deforestation, existence, Firewood, forest, fuel, hills, Kodaikanal, Life, Nature, Photo, Photography, photos, struggle, survival, Trees. Bookmark the permalink. Beautifully said. And gorgeous photos. Thank you, Oster’s Mom for your kind words. 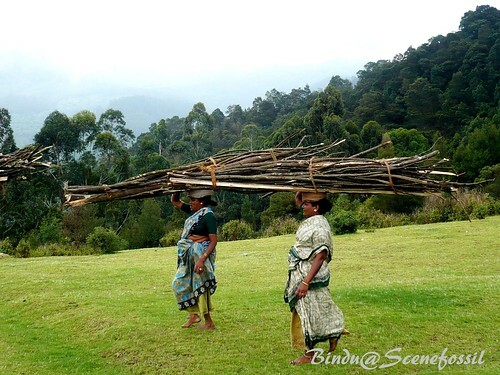 Lovely setting, but very hard working women. Your photos are great. I love the mountains in the background. Is this India? 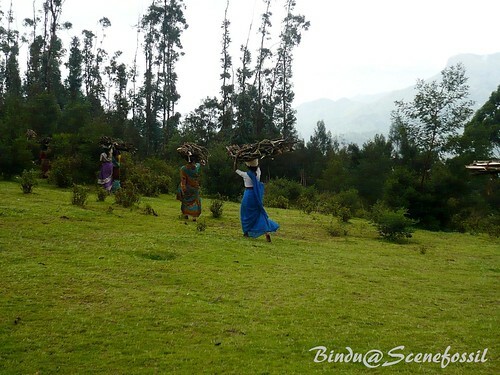 Yes, South India (Kodaikanal, Tamil Nadu).